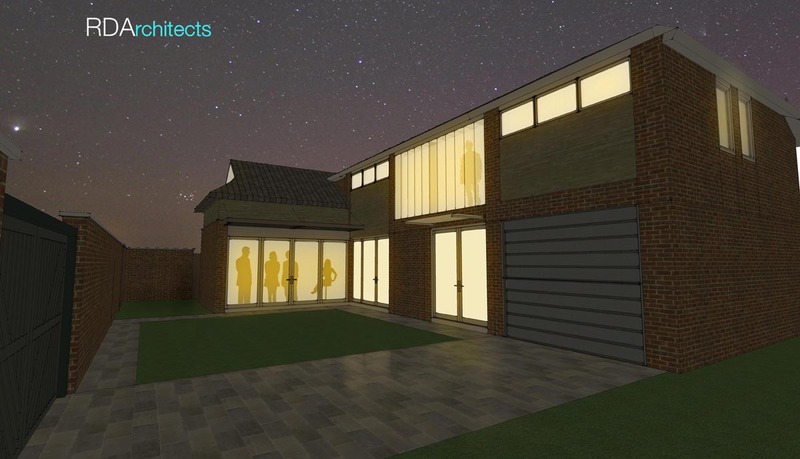 Extensive alterations and two storey glassy element enable this house to capture the incredible view over the Rother valley. 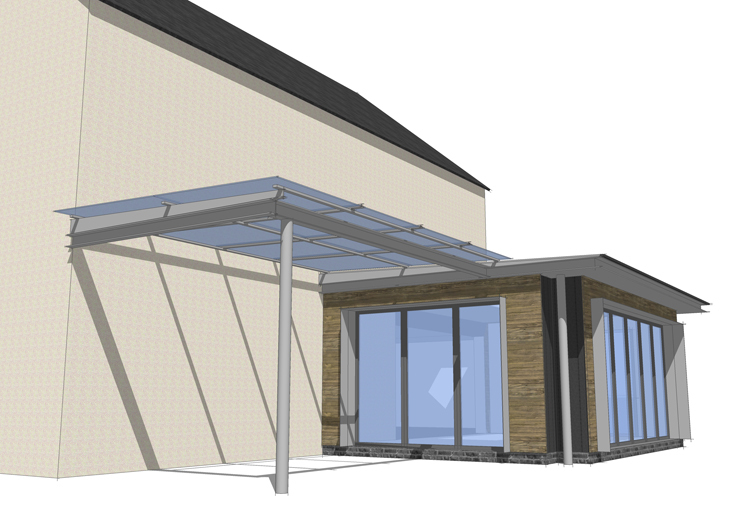 To be constructed in a mixture of steel and timber frame, the project is currently seeking building regulations approval. 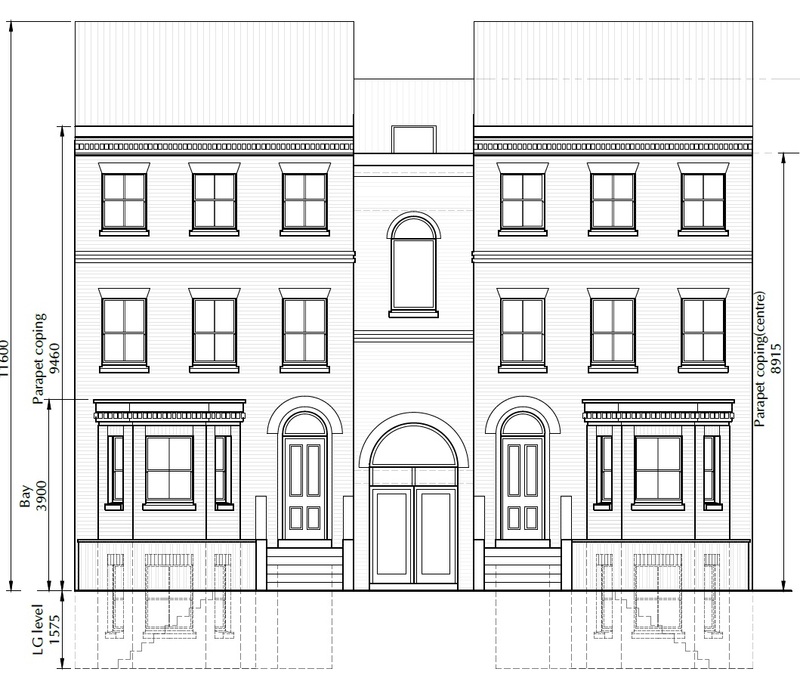 Development of three flats and single family home is currently in the planning stage. 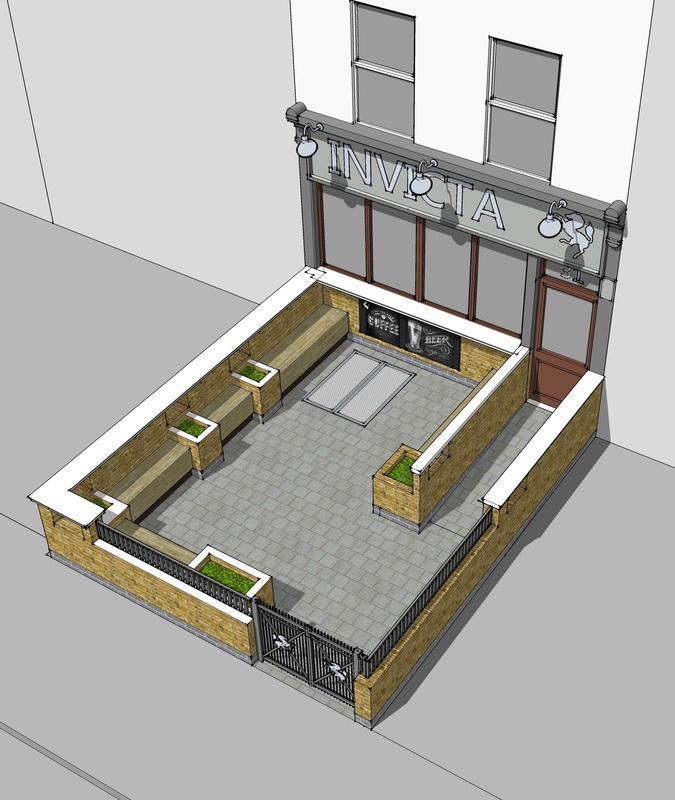 Designed as one coherent block within a conservation area, this traditionally Gerorgian frontage will provide a welcome addition to the street. 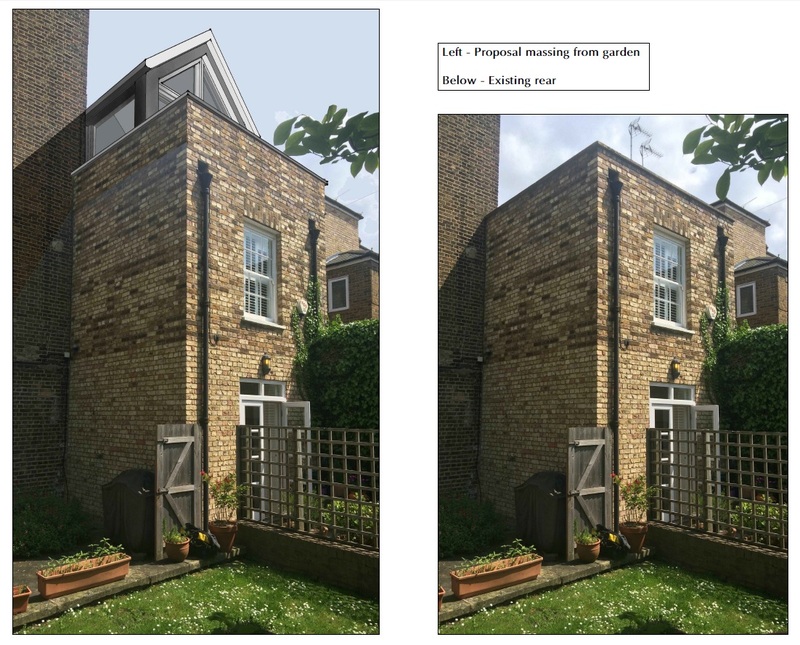 We have recently recieved Grant of Planning permission (and permission for works to a Listed Building) for a reading room on the roof of a Grade II Listed Building in the heart of Historic Rochester. 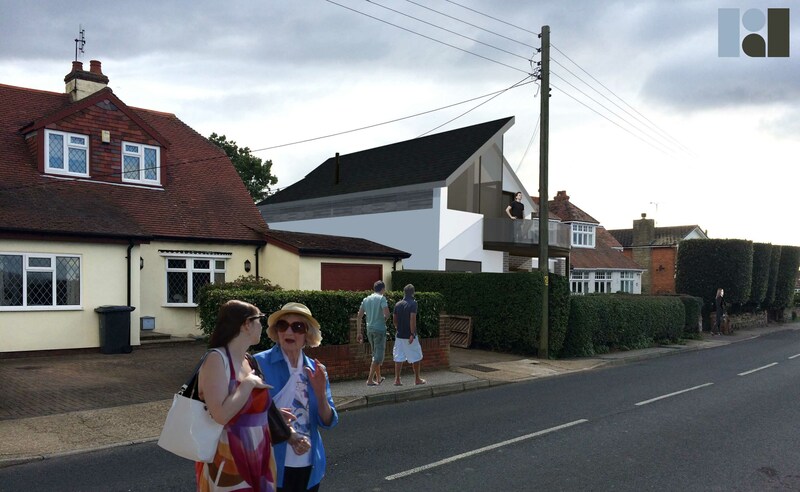 RDA have recieved a Grant of Planning Permission from Canterbury City Council on behalf of a private developer client in Seasalter, Whitstable. 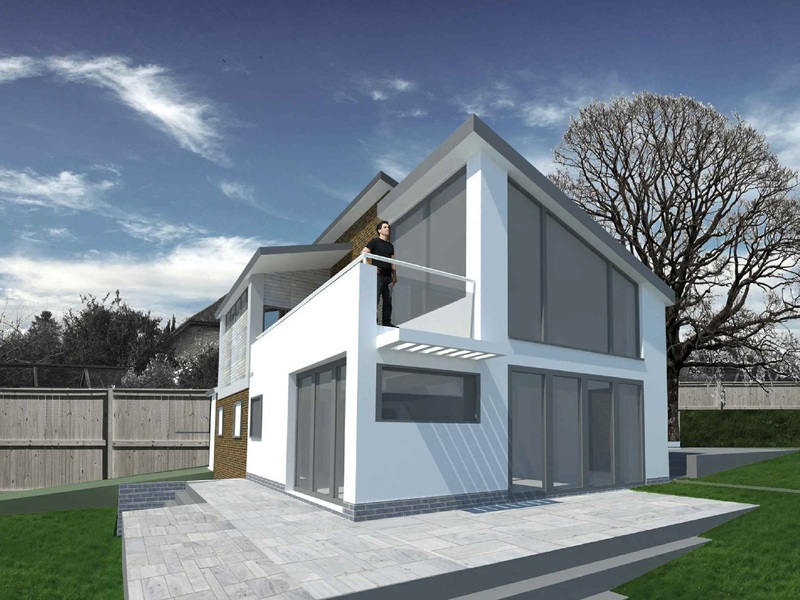 The proposal replaces the existing dwelling with a contemporary ‘inverted’ chalet-style house, wherein the main living accommodation is planned at first floor level, balconied to the north to maximise the splendid views across Seasalter bay. 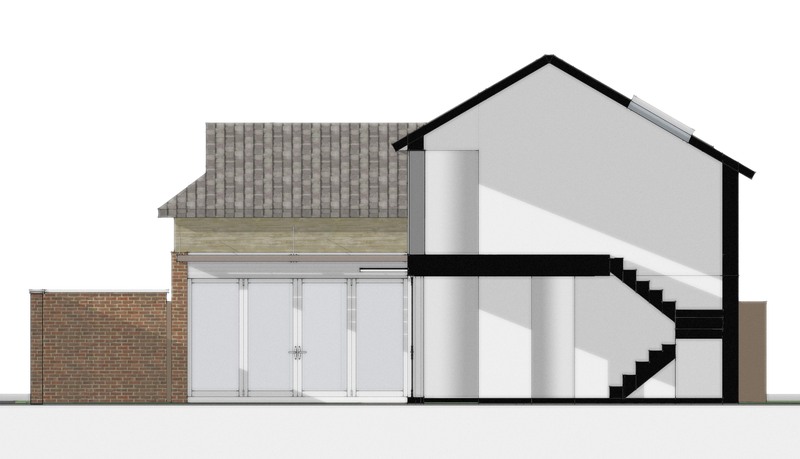 The proposal has been carefully designed to, avoid overshadowing from /to adjacent properties and to provide the clients with both the look and the space that they desired. 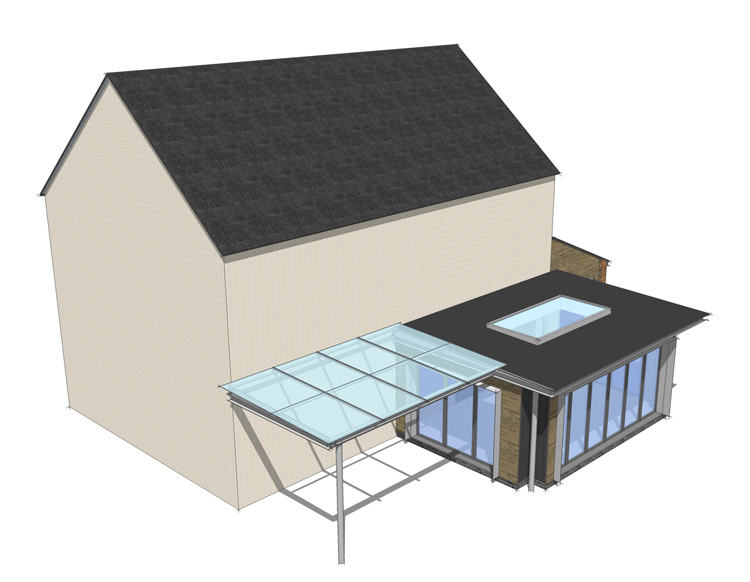 RDA are experienced in undertaking pre-planning consultations. These images are from a recent project, where the clients wish to build a house near the Green Belt, situated on land behind their house. 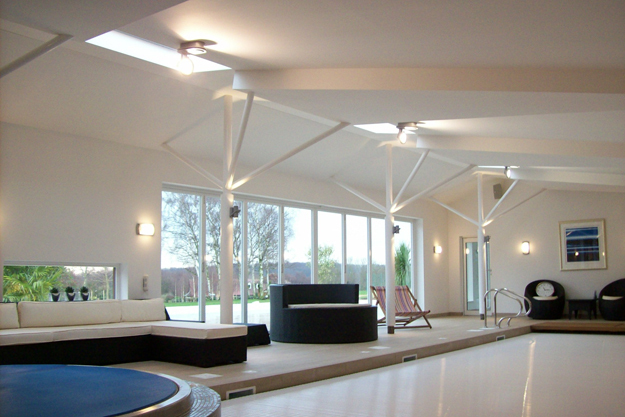 A contemporary extension to a 19th Century farmhouse in the village of Istead Rise, North Kent. 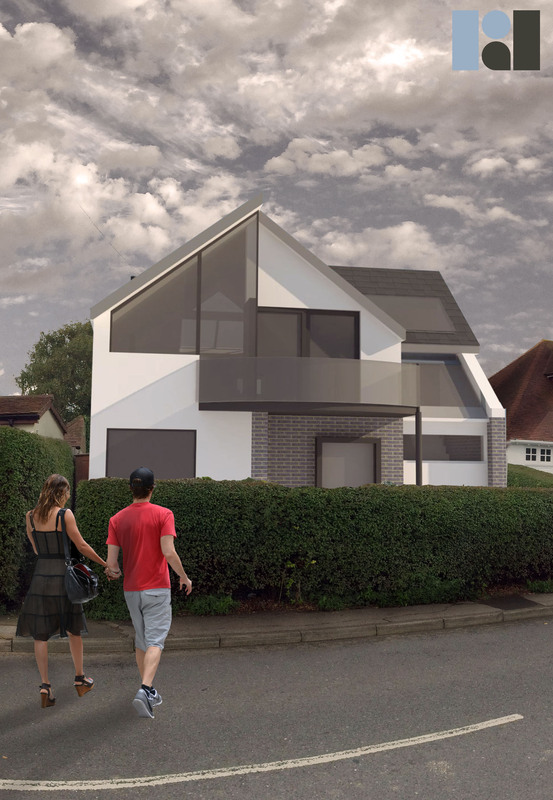 The proposal centers on providing a spacious family dining area and garden room, open plan to a remodeled kitchen, itself extended to the side to accessing utility storage and cloakroom. The traditional appearance of the farmhouse, with London stock buff and red bricks is continued to the side extension to preserve the street scene. 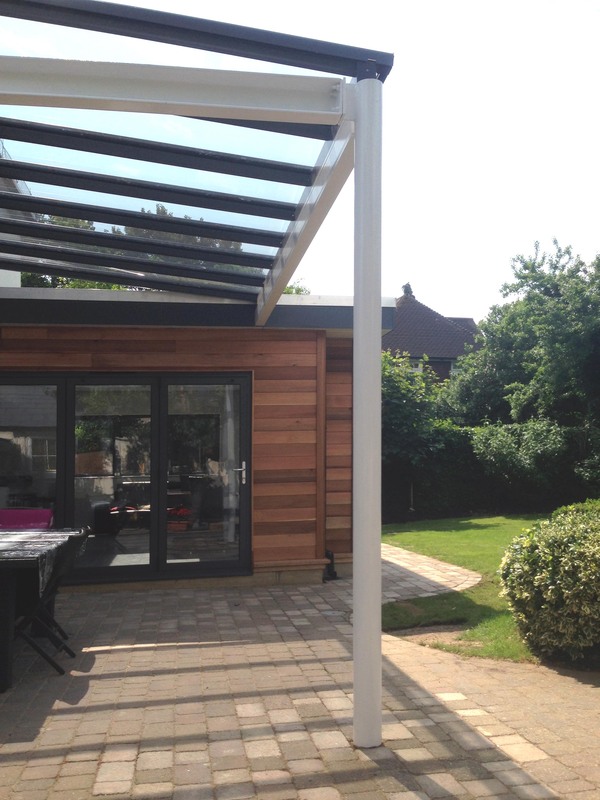 Once within the privacy of the landscaped garden, the extension takes the form a simple extensively glazed, flat roofed structure, offset with red cedar panels contrasting with the exposed steel frame either side of the retractable screen framing the view into the garden. 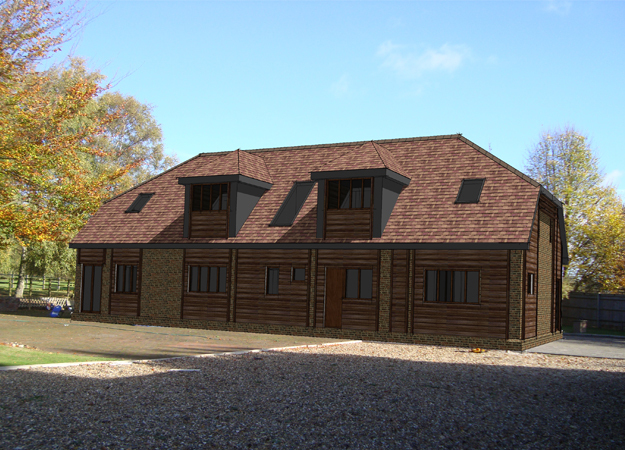 RDArchitects Kent has successfully achieved planning approval for a replacement dwelling within the Green Belt and an Area of Outstanding Natural Beauty in the Kent countryside. Overcoming the unique planning difficulties that arise when working in such challenging circumstances is testament to the vision of the design team and client alike. 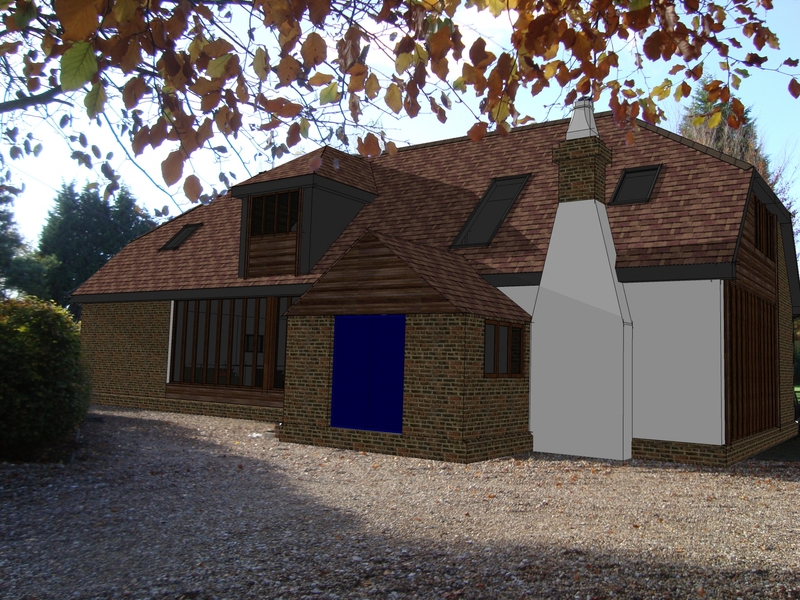 The ambitious scheme will substitute the existing gardener’s cottage with a new sustainable dwelling in Kent, which is to be constructed using SIPS (off site timber-framed fabrication). The project will also bring together the latest technologies to promote the generation of energy on site, featuring the use of air-source heat pumps and solar panels. Our client has instructed us to redesign the ground floor (to contemporize the layout away from its cellular form) and to assess the feasibility of maximizing space at first floor level (i.e. within a roof-space) in order to provide 4 bedrooms and accompanying bathrooms. 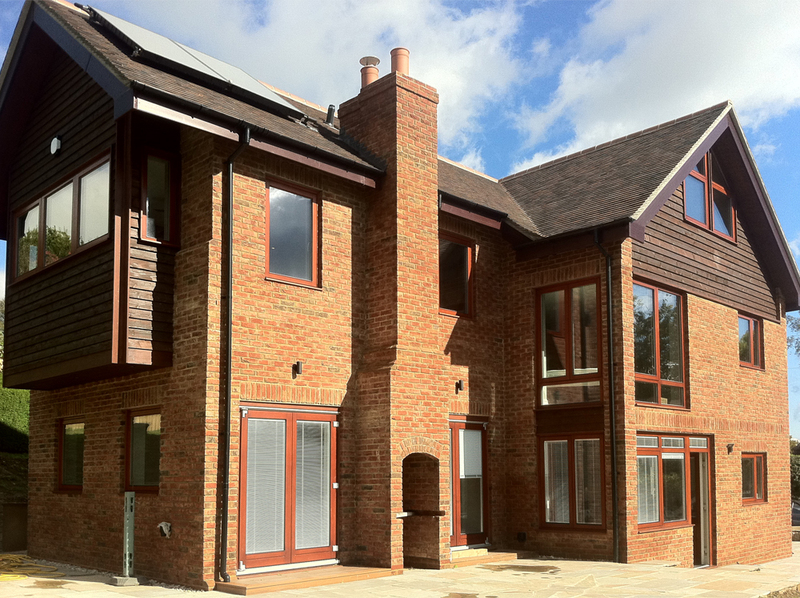 The project is near Sevenoaks, Kent. As a result the ground floor would revert to a more regular array of habitable spaces, their location determined by orientation (view and sun-path) and by more practical issues such as the distribution of the existing windows and access to existing underground drainage. 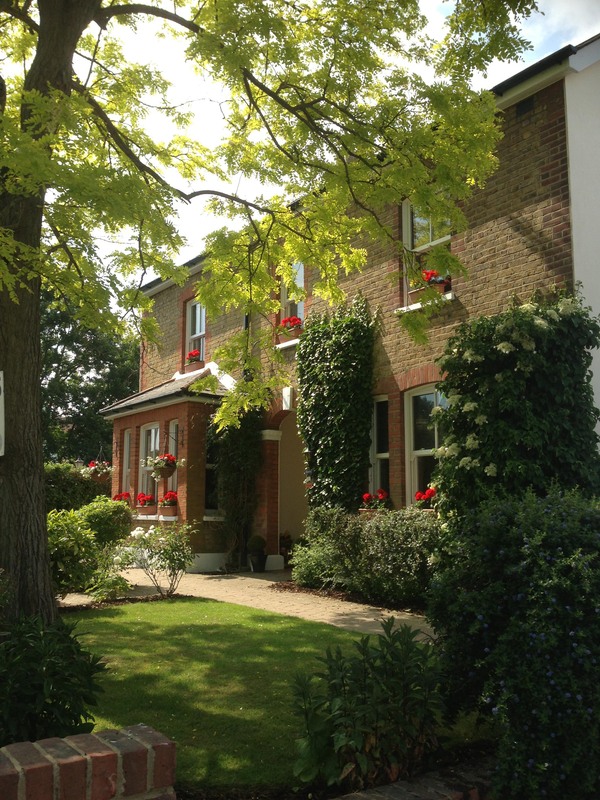 Lofties is a traditional English country house set within six acres of mature landscaped gardens. 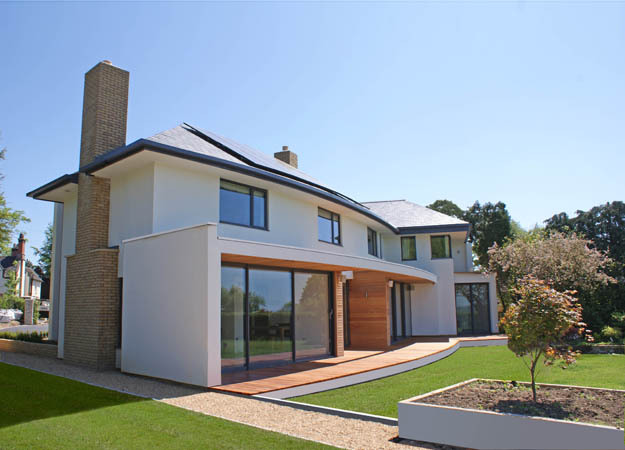 RDA Kent were asked to substantially alter and extend the house to create a home of distinction, character and above all modernity. 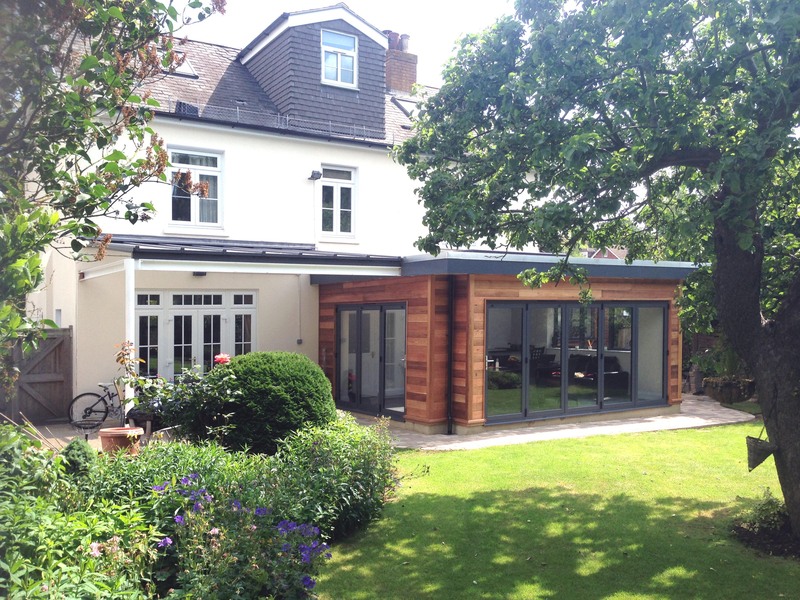 The extensions did not seek to mimic the architectural style of the existing house; instead they sought to contrast but not conflict with the original property, being formed with a new and modern palette of materials. 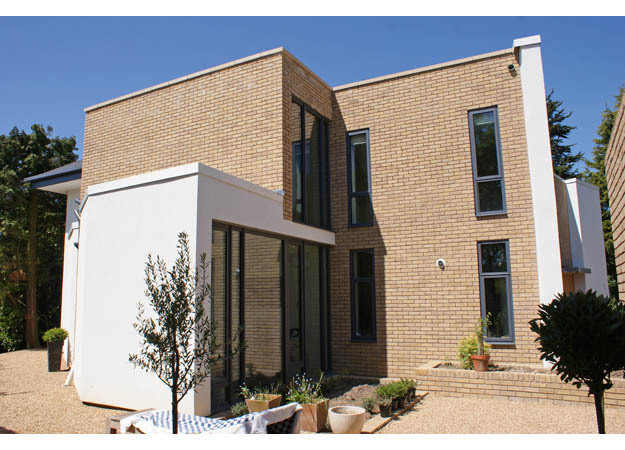 The expression of the formal four square red brick house remains, whilst the additions offer new, more informal living arrangements that respond to contemporary patterns of use, and allow a greater interaction with the landscaped grounds. 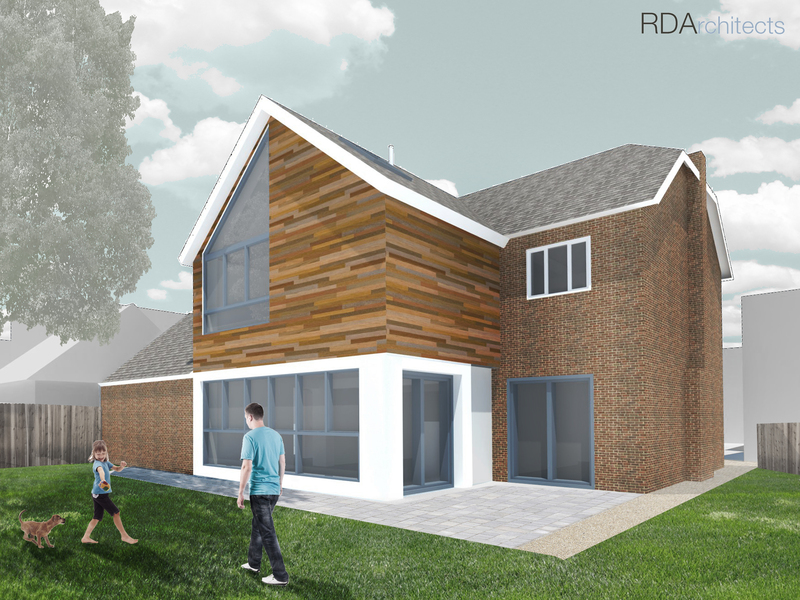 RDA were commissioned by a private client to produce designs for a high quality and contemporary new dwelling. 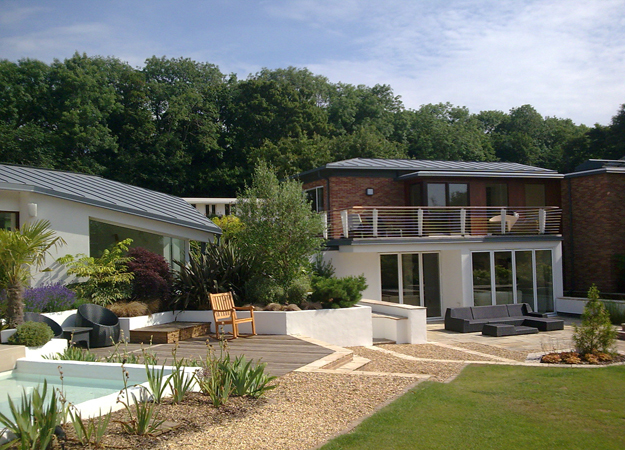 The existing house was replaced to provide more rational and flexible open-plan spaces for the family to inhabit and to allow for panoramic views to the landscape at the rear. The concept of an internal curving feature wall comprising of multiple timber fins was adopted to define the interior spaces whilst maintaining views to the garden from the front of the house. Contemporary internal finishes such as exposed polished concrete and white plaster are softened with the use of oak paneling. 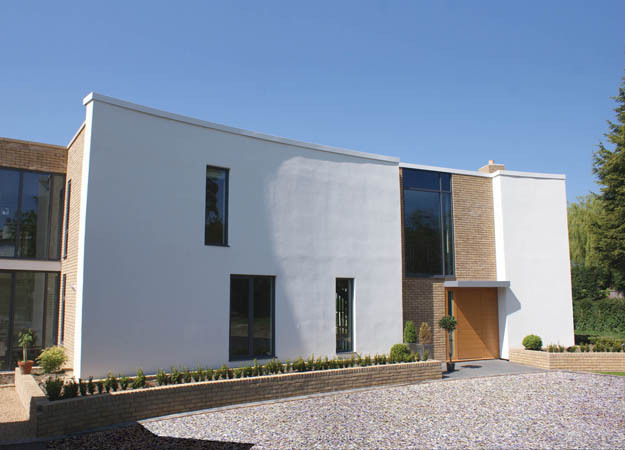 To minimise energy loss, the walls are super-insulated with modern insulated 'through colour' render systems. Renewable energy technologies such as PV panels have been provided to create electricity which is sold back to the national grid, and rainwater harvesting is used to minimise the amount of mains water consumed. 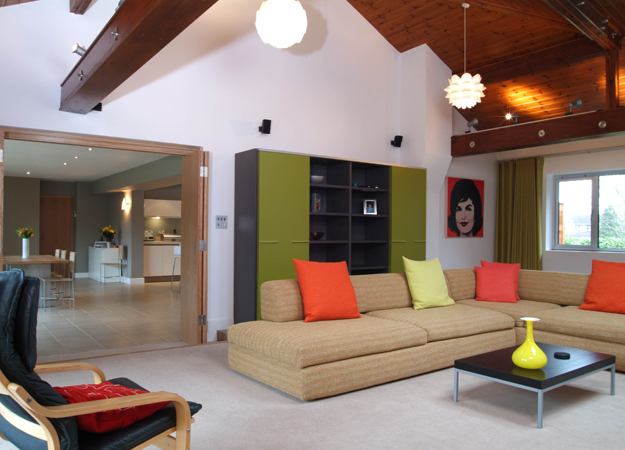 All of these systems work in combination to reduce the house’s annual carbon consumption and reduce utility bills. Built in 1860 the original property was a Carriage House serving a far larger manor, including a 5 bay stable block and bell tower. 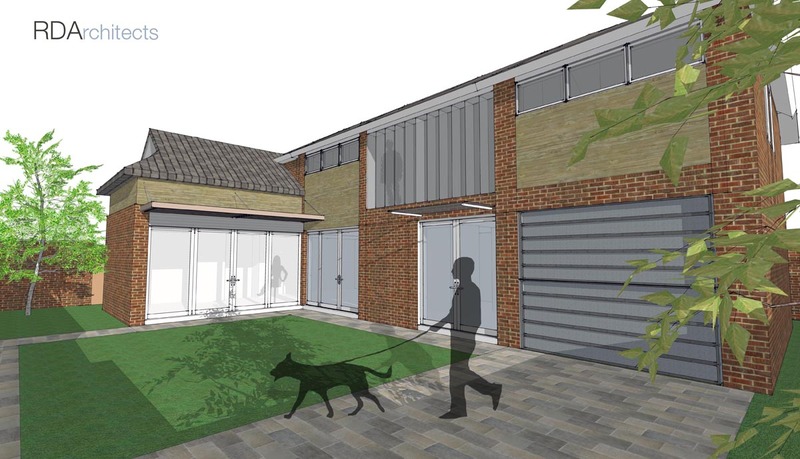 The simple design links the small house with the stable block as part of a 3-phase adaptation & conversion of the house for which planning permission was obtained in 2009. 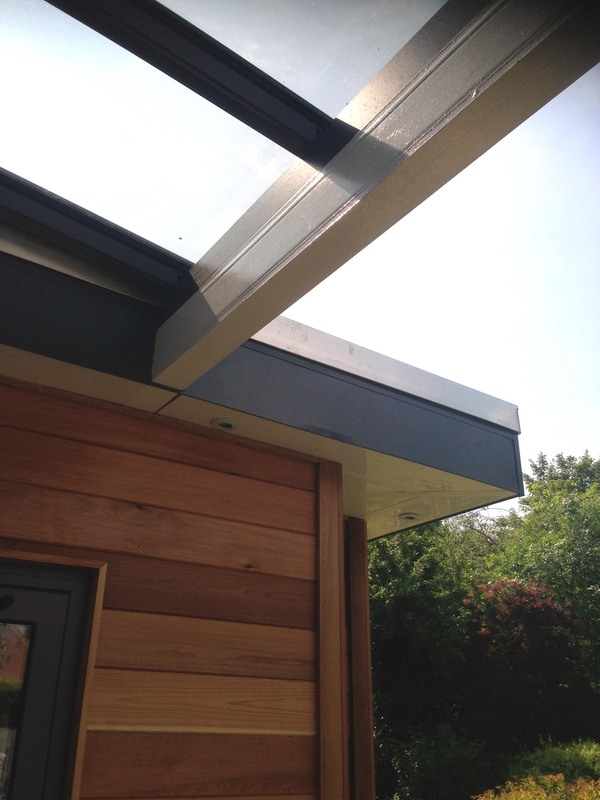 The single storey link not only connects the two original elements of the building but closes off the fourth side of a quad to provide a private courtyard garden. 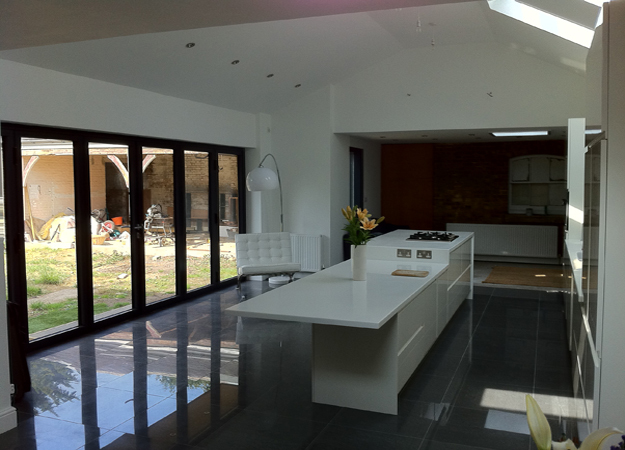 The extension provides a top-lit kitchen and dining area that opens out into the quad via a wide retractable glazed screen contrasting with the exposed Victorian brickwork at either end. 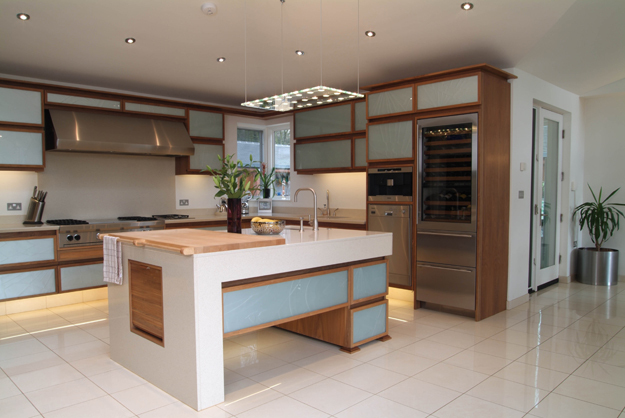 RDArchitects | London have undertaken all elements of the scheme including interior & bespoke kitchen design. Planning permission is currently being sought for a timber-framed house to the sea front in Greatstone-on-Sea on the south coast of Kent. 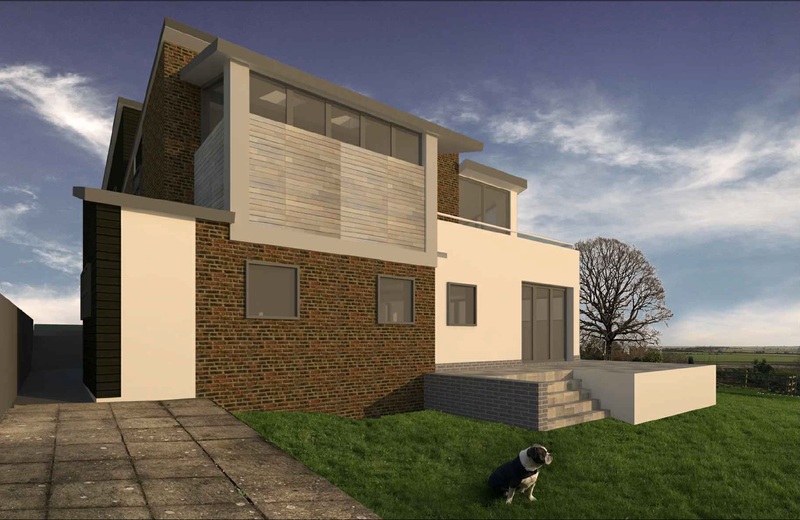 The proposal replaces the existing single storey house and is designed over 4 split levels to provide views over the dunes towards the sea. 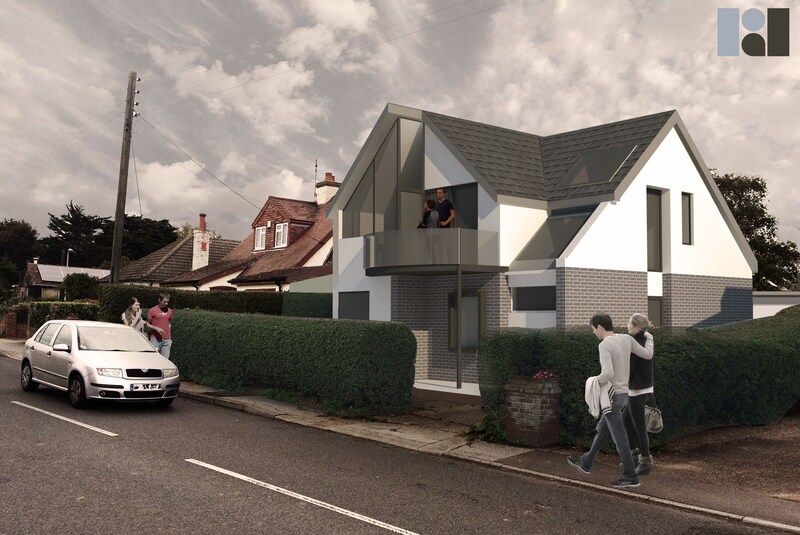 The house, designed to achieve Code for Sustainable Homes level 3 will be super insulated and will be in part prefabricated to include solar thermal collectors to the south elevation. 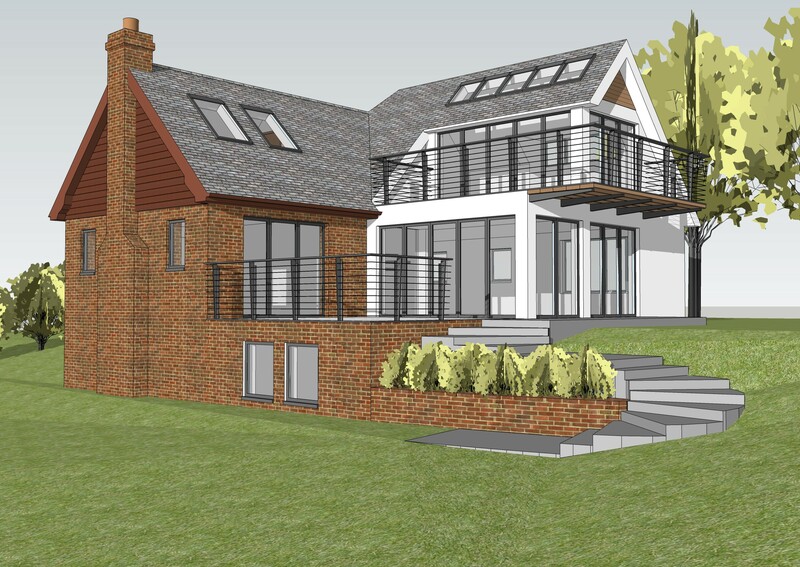 South & SE facing balconies will provide views and solar shading whilst the adaptability of the design will enable an arrangement of 3-5 bedrooms over two levels with 2-tier living accommodation and a mezzanine retreat. The conversion and adaptation of two detached houses and garages with outbuildings within a half acre orchard plot in the Kent countryside, just outside Maidstone. 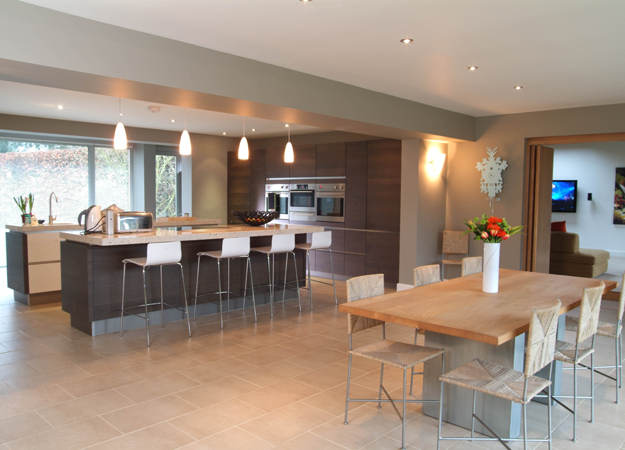 Both properties, one immediately post war, were stripped to the bone, structurally overhauled and re-planned to form a spacious five bedroomed house. 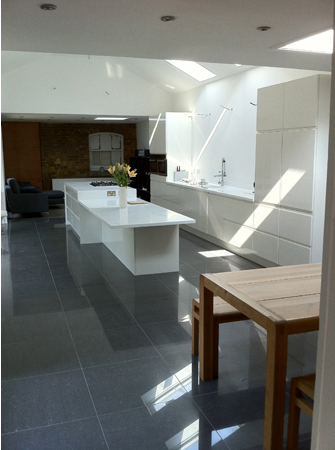 Works included partial underpinning, reducing levels to form a split-level ground floor, children's bedrooms (each accessing the attic playroom) and a working timber-framed studio over the garage. 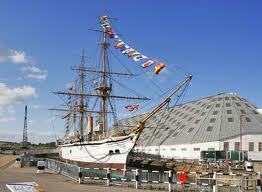 The existing flat roofs were replaced forming a new slate roof uniting all 3 buildings. 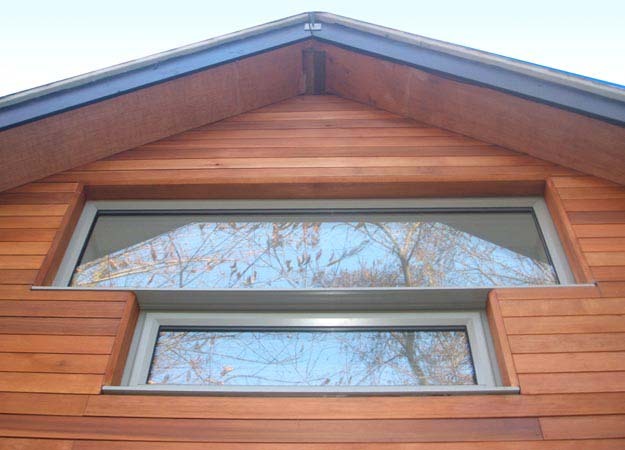 Extensive glazing, taking advantage of passive solar gain to the south and south-west elevations, blends with new cedar framing and cladding providing both a modern and sympathetic contrast within the village. 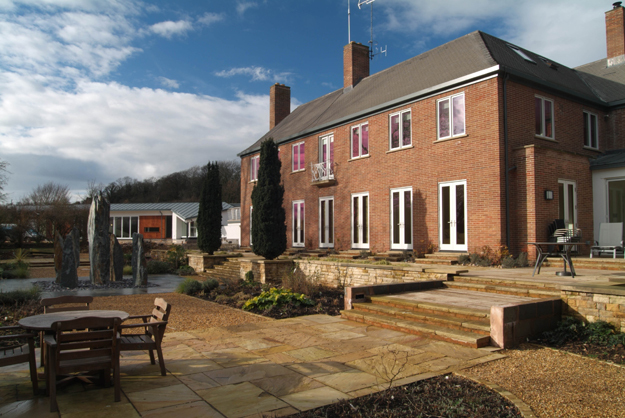 Located within the rural village of Yalding and within the flood plain of the River Beule, the development sought to adapt and extend existing outbuildings for residential use ancillary to ‘The George’ Inn. 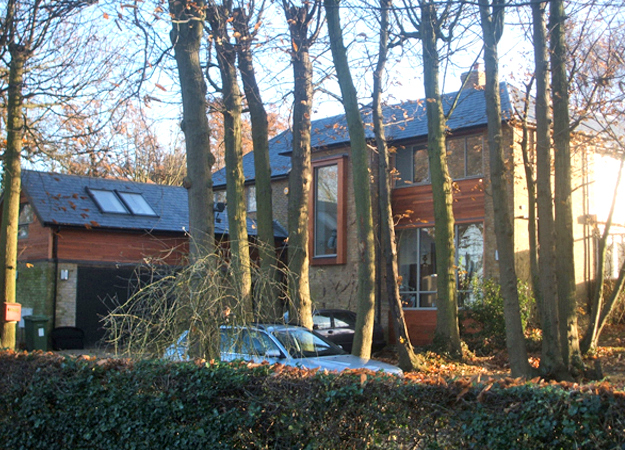 Working alongside BTP Hyder, RDA designed a split level house that accounted for the well documented flood exposure of the site, whilst carefully balancing the traditional form of the existing vernacular with a contemporary design that took advantages of the views across the river towards the village centre to the north. This project is awaiting its text desription. Check back here soon for details! 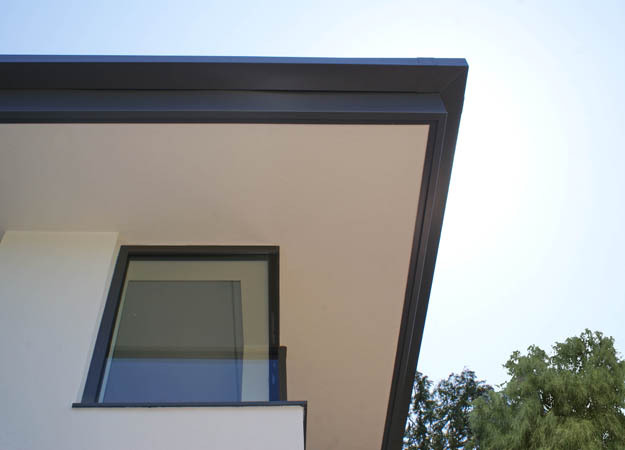 RDArchitects work across all sectors, although we have a particular specialism in the high quality residential sector. 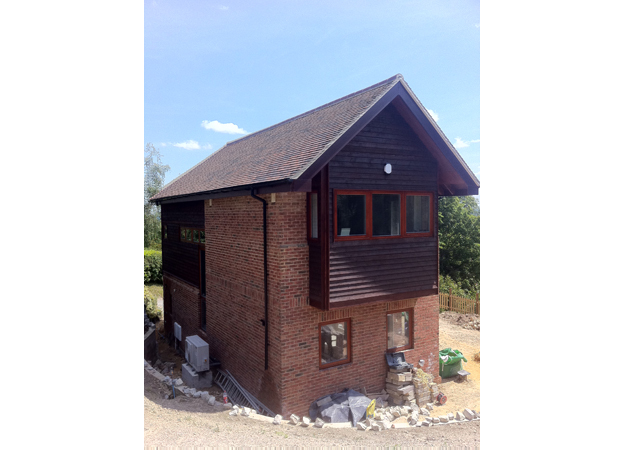 We have recently help clients with barn conversions, alterations to listed buildings and projects within the Green Belt. 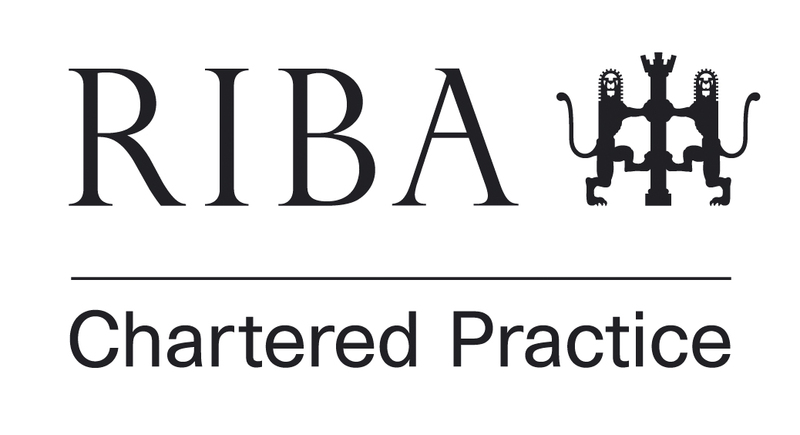 The common theme underpinning our work is a commitment to quality and the highest levels of service.